After an official roll-out of the model this week, Nike is set to drop team-oriented colorways of the Zoom Hyperdunk 2011 next month. After an official roll-out of the model this week, Nike is set to drop team-oriented colorways of the Zoom Hyperdunk 2011 next month. 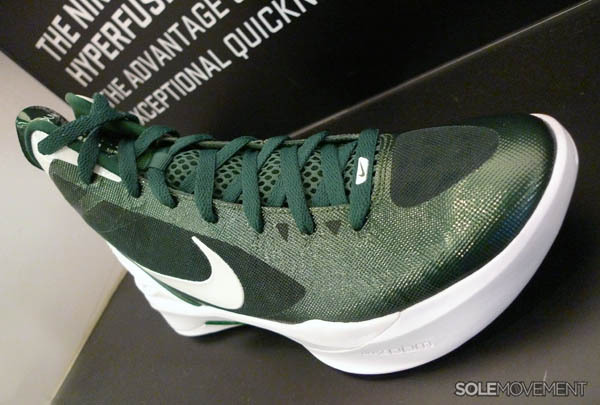 This particular Hyperdunk 2011 TB features a gorge green-based upper with tonal Flywire paneling. White works trim along the collar, as well as the Swoosh, heel counter and midsole. Green returns for detailing on the midsole and forefoot tread on the outsole. 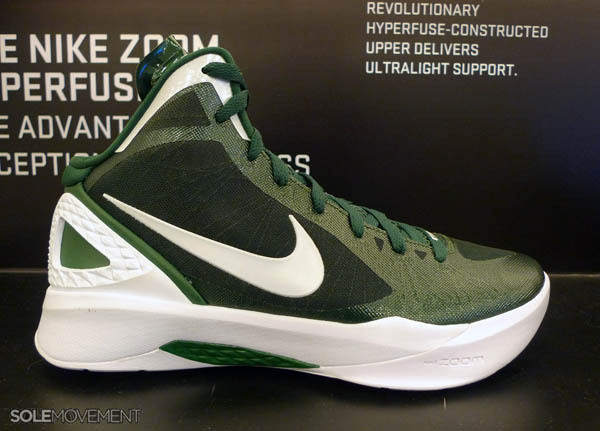 The Team Bank colorways of the Nike Zoom Hyperdunk 2011 are currently scheduled for a September release. Retail will be $125.